Everyone is all about using farmhouse decor these days in their home. It’s simple and beautiful yet makes a statement. Let’s face it though, as simple as it may be, the price tag on farmhouse decor can be outrageous. 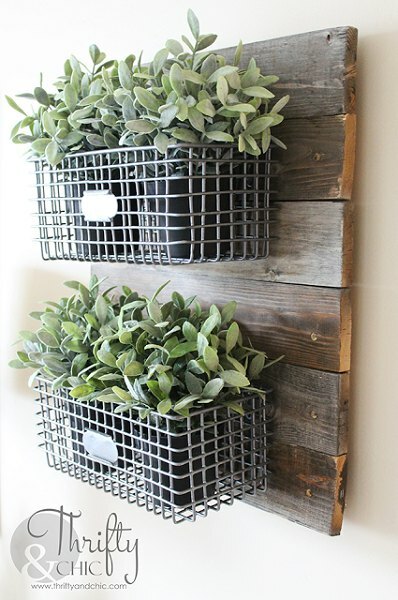 We have DIY Farmhouse Decor Ideas that are easy to make at home and won’t break the bank. My kind of ideas. ? From distressed shelves to shiplap, we have lots of ideas to decorate your home in farmhouse style. 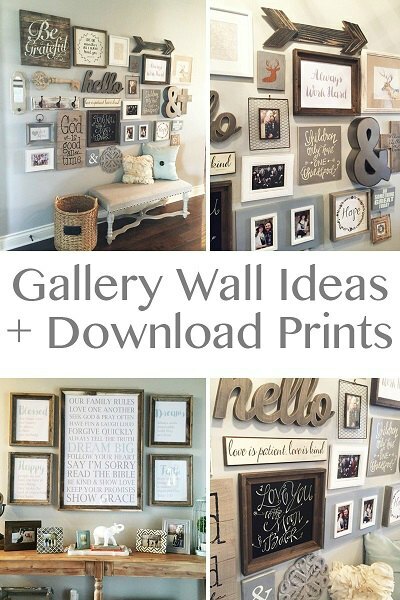 Find lots of ideas for wall decor that you will love. These are easy to make and sure to make your own feel like your very own farmhouse. 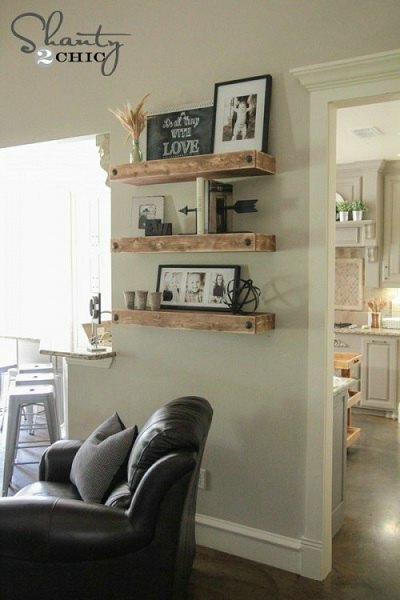 Distressed wood makes these shelves look perfect to display your favorite pictures and more. Shiplap is all the rage right now. Find out how to make it at home in any room of the house. 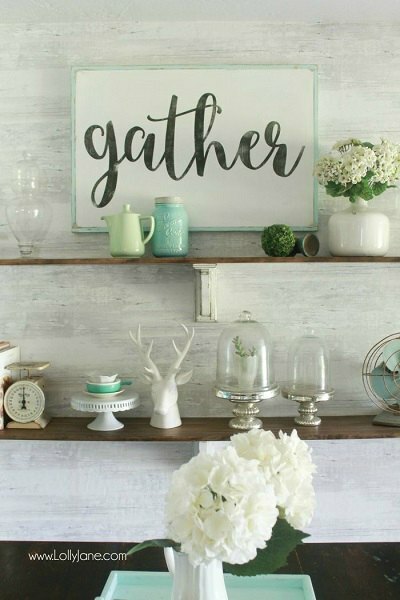 Make these rustic signs a focal point in your home. 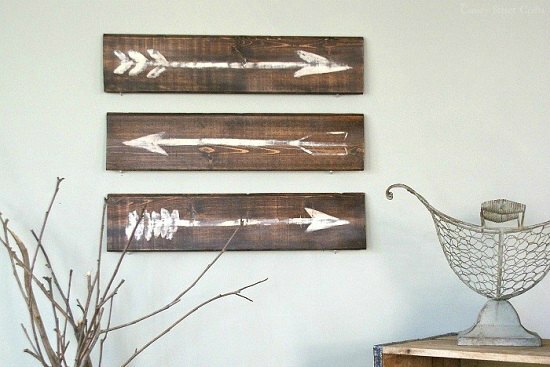 The painted arrows are perfect to complete you farmhouse wall decor. Make open shelves with this easy DIY idea. Display dishes, trinkets and more. 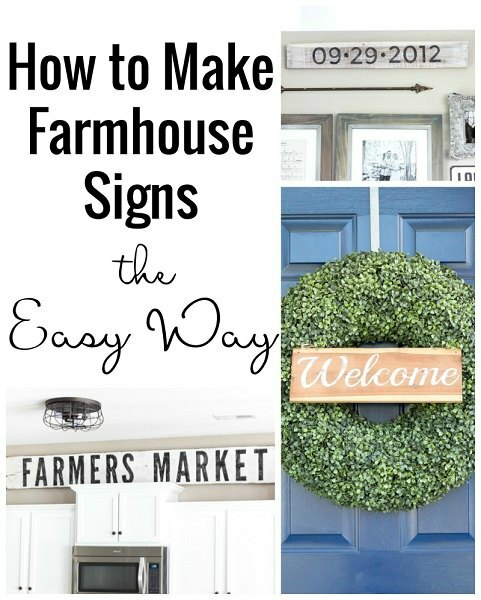 Learn how to make farmhouse signs the easy way and you won’t ever have to buy another one. These are gorgeous. Make this gorgeous hanging display of wire baskets and distressed wood. You will love how simple and easy it is. It’s perfect for holding anything you might like. A gallery wall is such a cool focal point in a room. Mix it up with pictures, printables, signs and more. You can also get some printables here with the ideas. 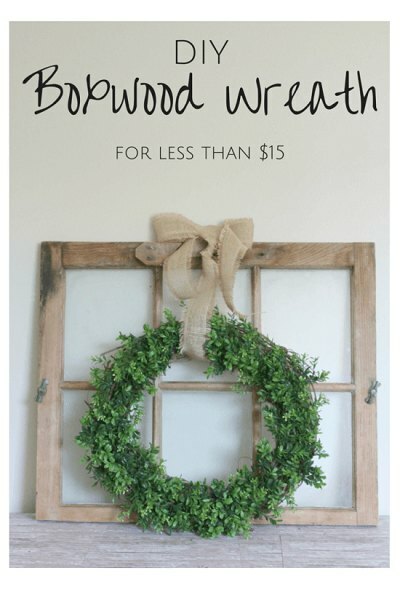 This DIY wreath is so simple and costs a fraction of what you might buy in the store. Make this for $15 or less! 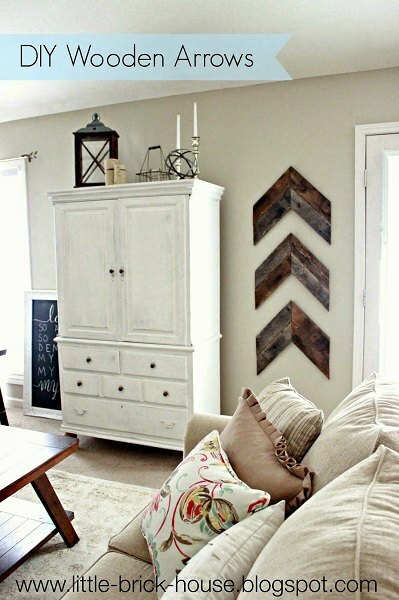 Wooden arrows are super easy to make and such a great way to incorporate farmhouse decor. You will love making your own. Farmhouse style furniture can cost an arm and leg! 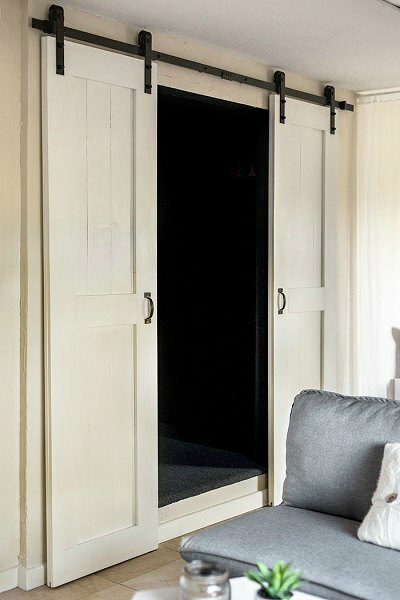 Use these DIY ideas to make your own Farmhouse furniture at home. 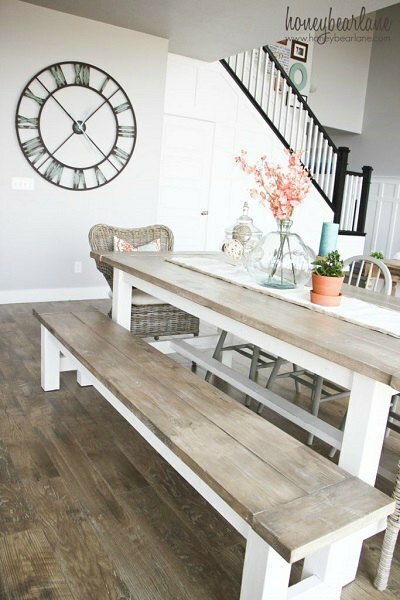 Ideas such as farmhouse style dining room tables, entry tables, accents and more! 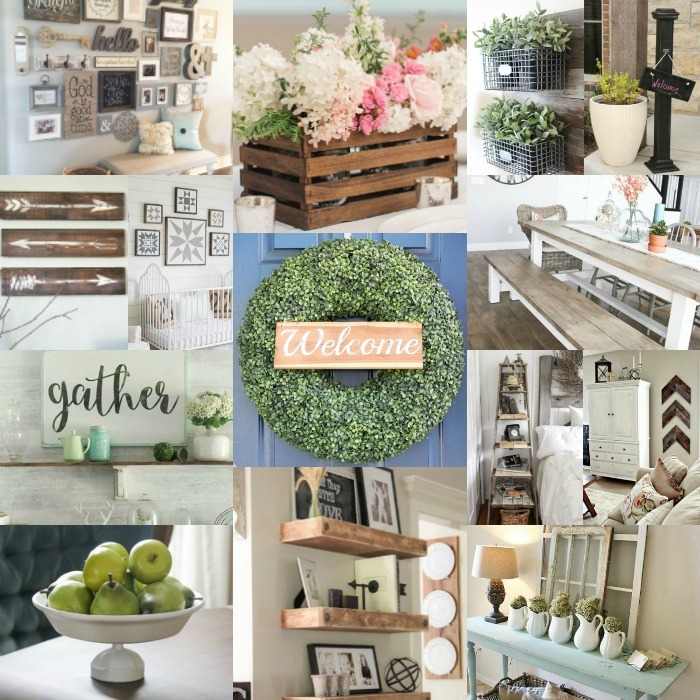 You will love these DIY ideas and even a few before and afters! These table are all the rage right now. Learn how to make a table and bench at home. They make it really simple and for a fraction of the cost of buying new. 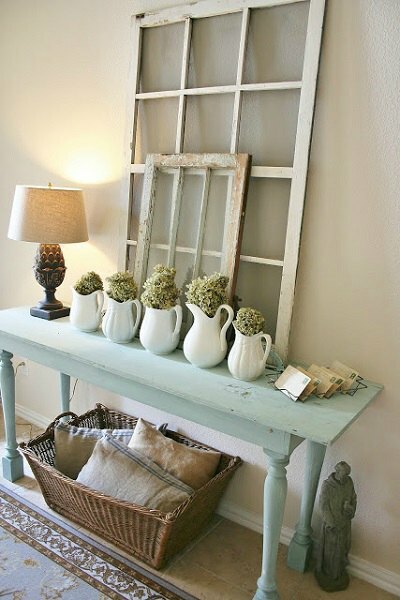 This entry way table is distressed and painted for a gorgeous farmhouse look. This would be perfect for a foyer or behind a couch. Turn a stepladder into a side table. 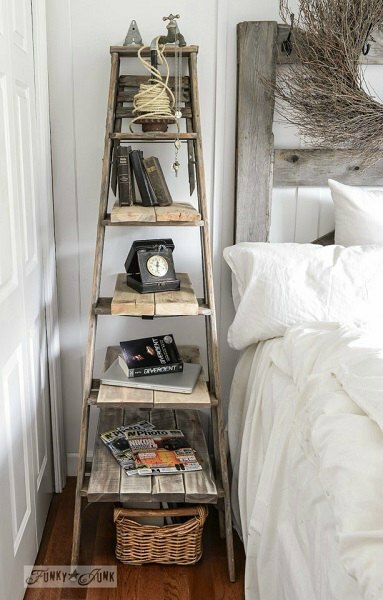 Who needs a nightstand when you have this gorgeous idea! You will love this before and after! 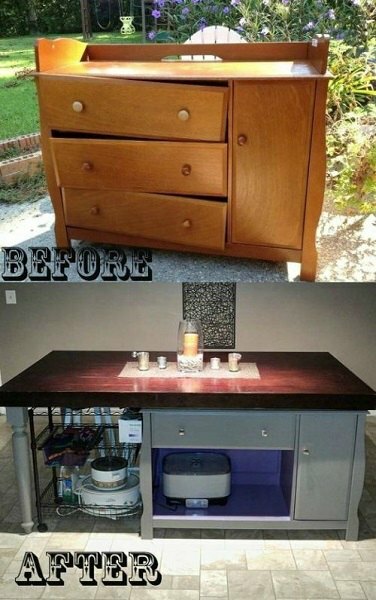 Turn an old changing table into a kitchen island! The details are what make everything come together in a home! Learn how to make centerpieces, accent pieces and more. This will tie everything together in your home for the perfect farmhouse decor. You can even learn how to make barn doors! This simple centerpiece will look lovely on your table! 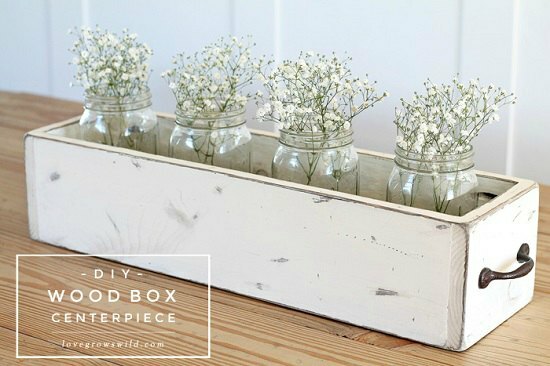 The babies breath complete the look for a gorgeous idea! 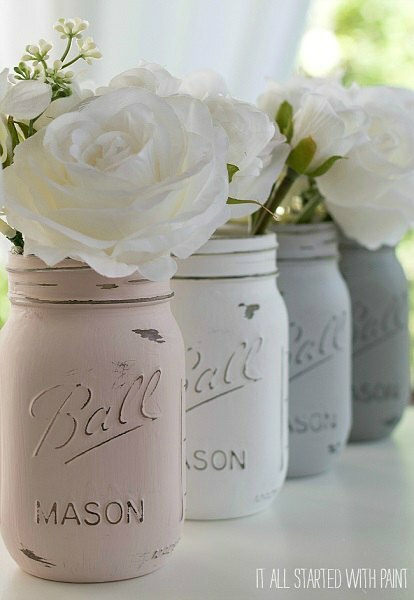 Grab some old mason jars and distress them! Perfect for a centerpiece! 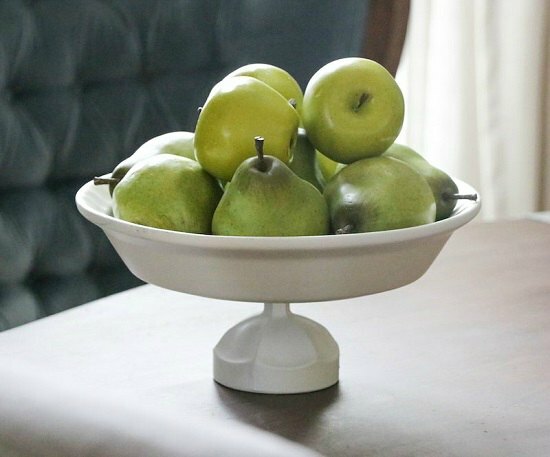 A little spray paint combined with thrift store dishes make the perfect fruit dish. You can use so many different dishes and ideas! 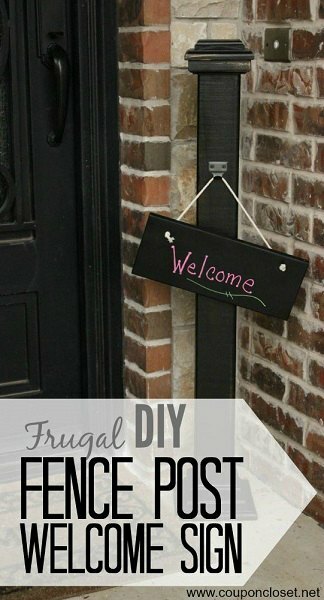 Make your home inviting with this easy DIY fence post welcome sign. Guests will feel so welcome and it’s really frugal too! Everyone loves barn doors! They are super expensive if you have someone make them. No worries though because this DIY idea is simple and inexpensive. 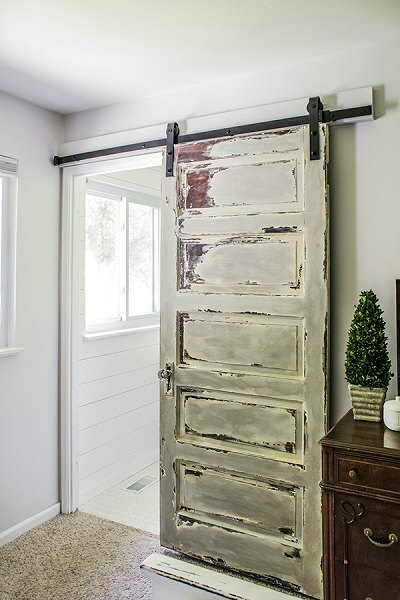 Turn your bathroom door into a simple barn door. So easy and gorgeous. The distressed look really completes the farmhouse look. Shop your home or see what your local thrift store has. 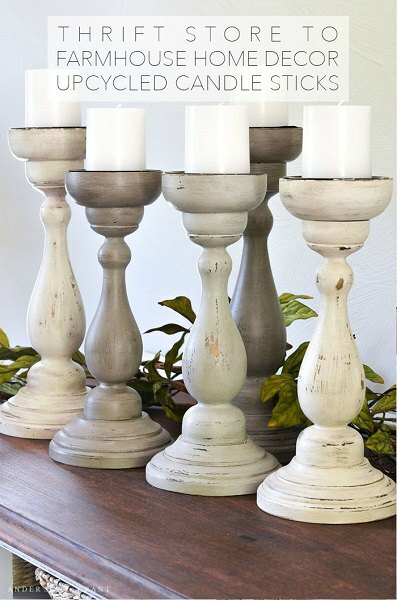 Turn old candle sticks into gorgeous farmhouse decor! 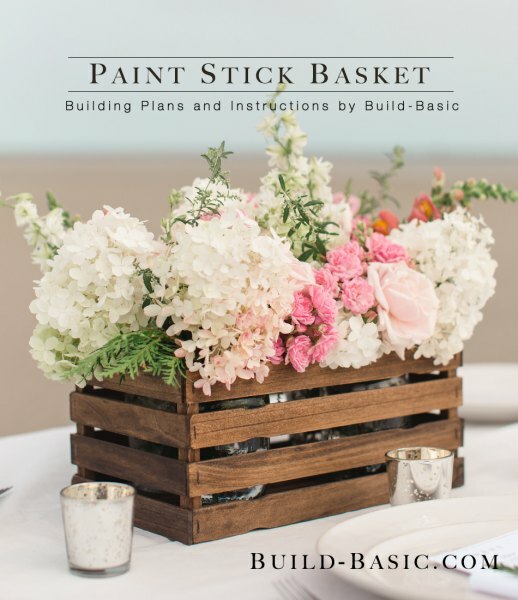 This paint stick basket can’t get any simpler! Perfect for flowers for a rustic centerpiece. These DIY Farmhouse Decor Ideas are sure to inspire you! You don’t need to spend tons of money or time to get the perfect farmhouse look. From DIY farmhouse wall decor, DIY farmhouse furniture and DIY farmhouse decor, we have given you so many frugal and easy ideas! Make your list and start decorating!